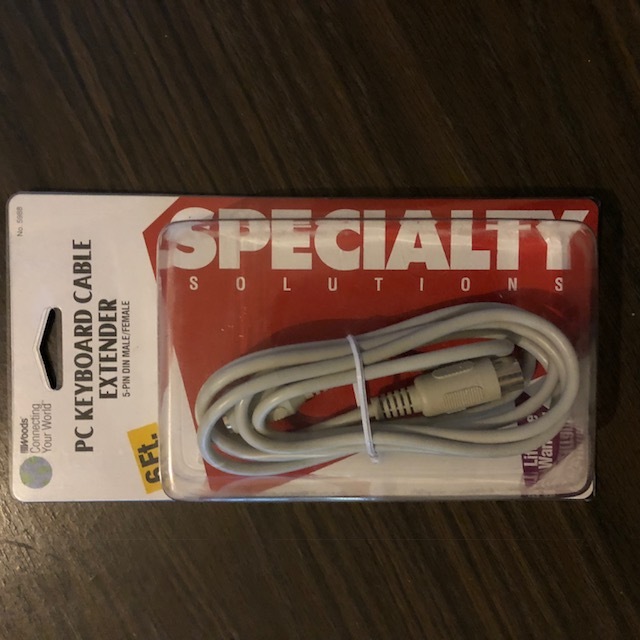 Manufactured by Woods Industries, this 5-pin DIN male to female 6’ 5mm diameter light gray cable lets you extend your existing keyboard cable, allowing for more flexibility and comfort. This #5988 model is designed for standard PC keyboards (not adaptable to PS/2-type keyboards). New in the original plastic-covered hanging card.